The microUSB cable that came with whatever gadget you need to charge every night probably works just fine, assuming you take care of it. 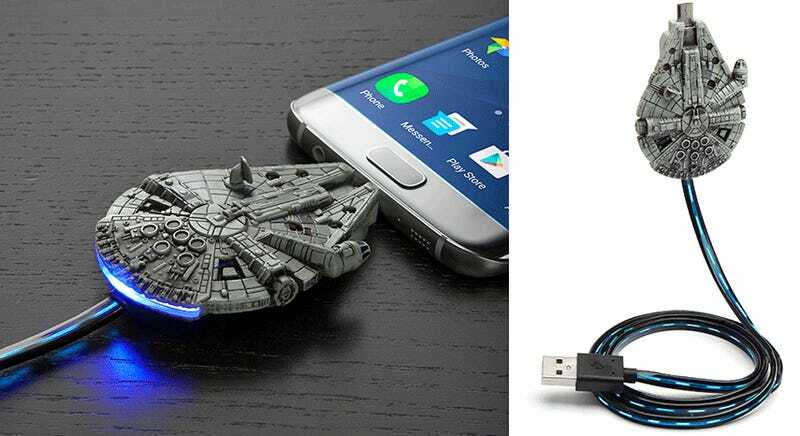 But ThinkGeek still makes a strong argument for replacing it with this electroluminescent cable that makes the Millennium Falcon on the end look like it’s making the jump to hyperspace. The Falcon’s thrusters also light up when the charger’s plugged in, and when your gadget’s done charging, the 34-inch cable’s animated effect turns off so you know when it’s time to unplug it. Plus it’s only $20, and you can never have too many USB cables kicking around.